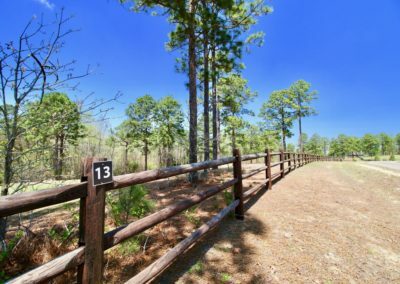 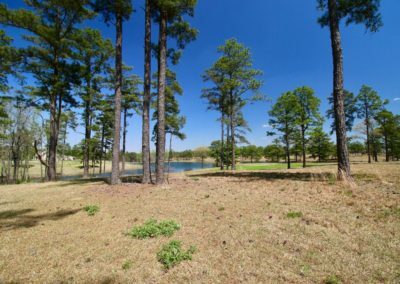 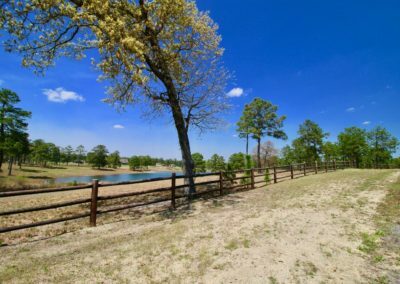 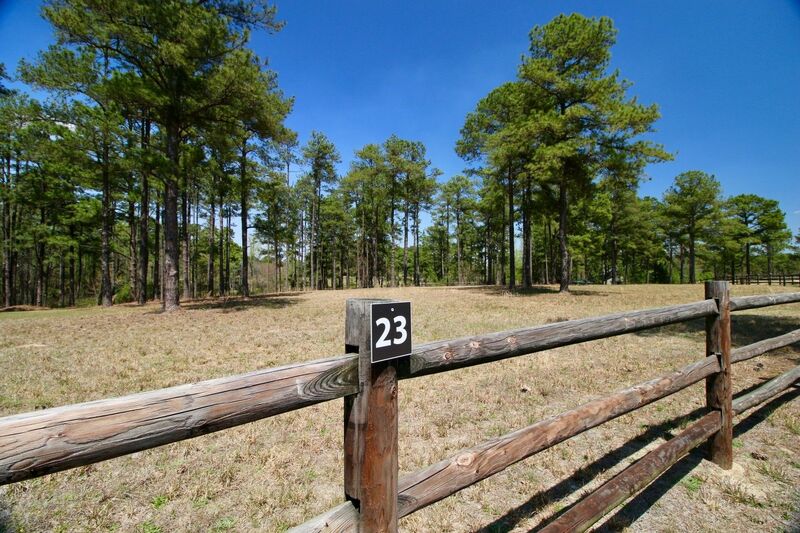 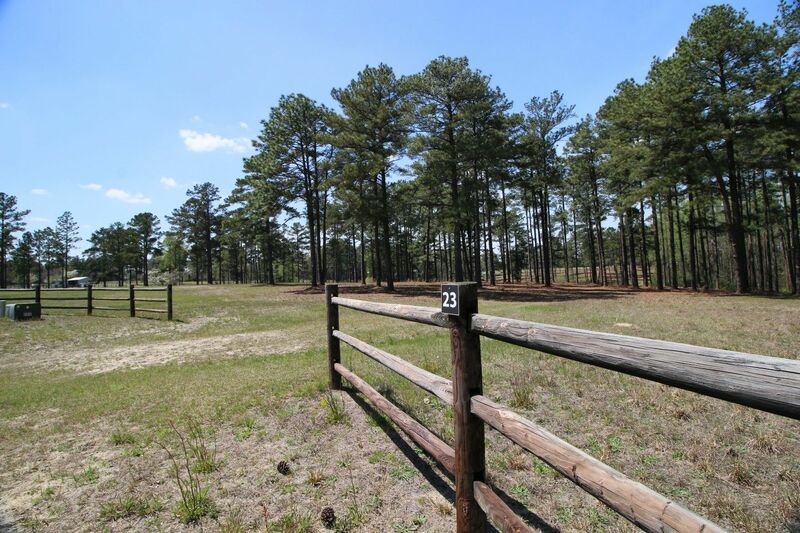 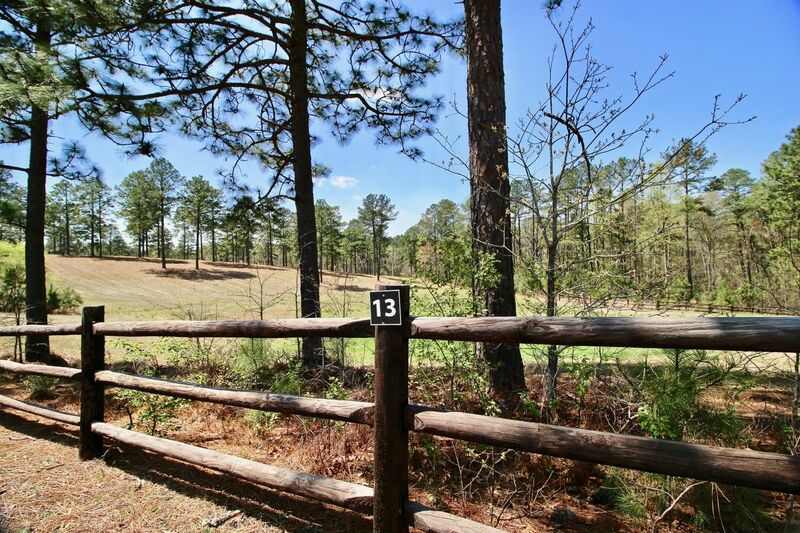 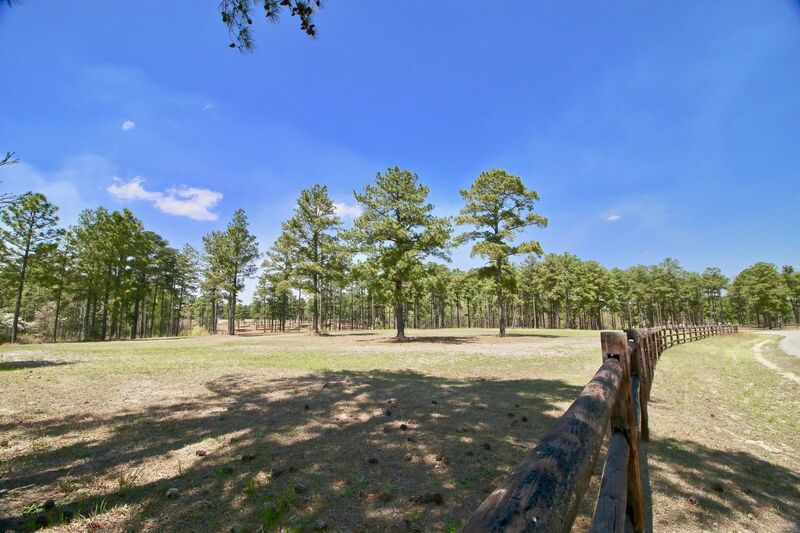 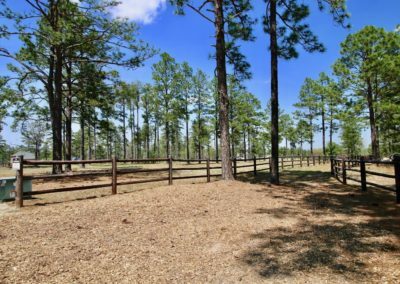 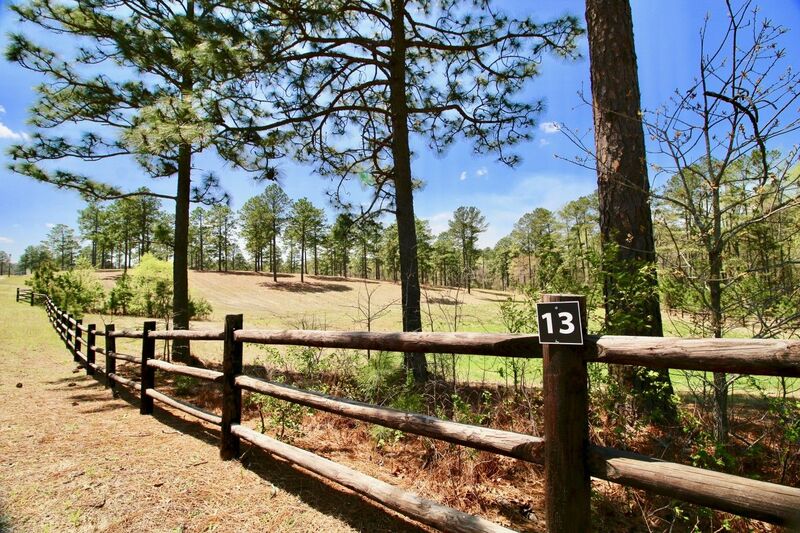 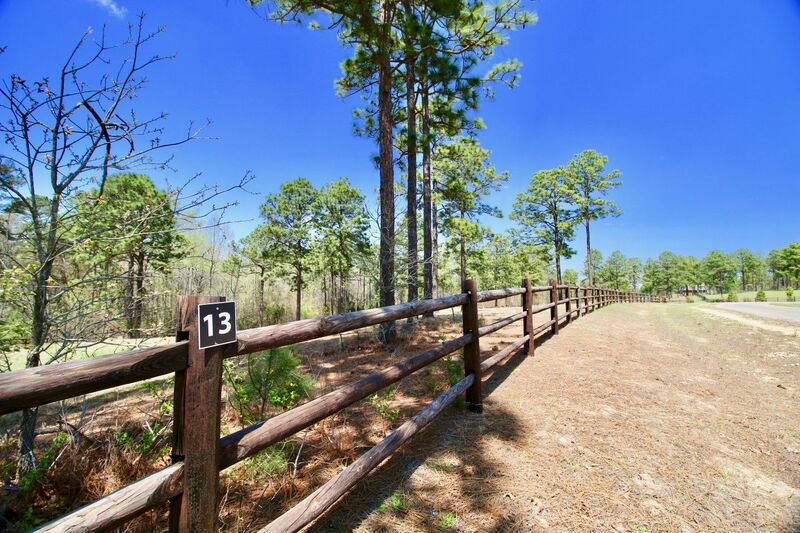 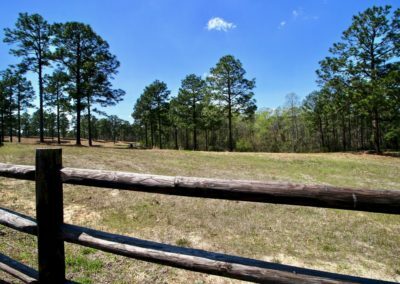 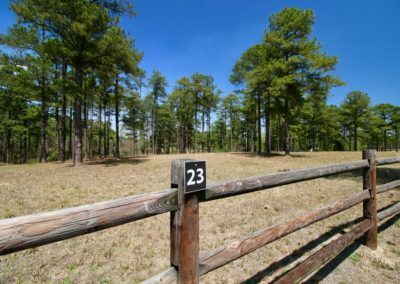 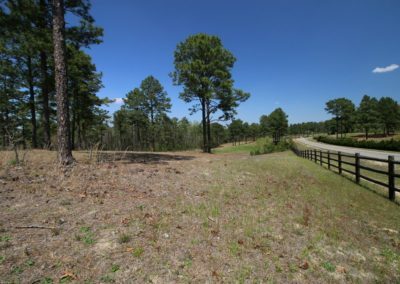 With frontage on the Walthour Moss Foundation, Pine Ridge Farms constitutes the newest Equestrian Community in Southern Pines Horse Country. 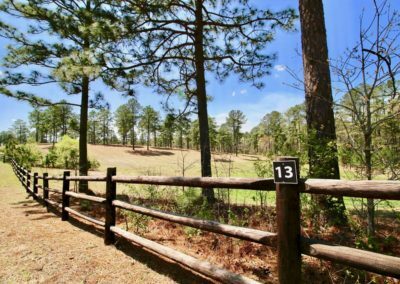 Outstanding Prices – for the first time it’s possible to own land with direct access to miles of trails in the 4,000+ acre Foundation at an affordable price. 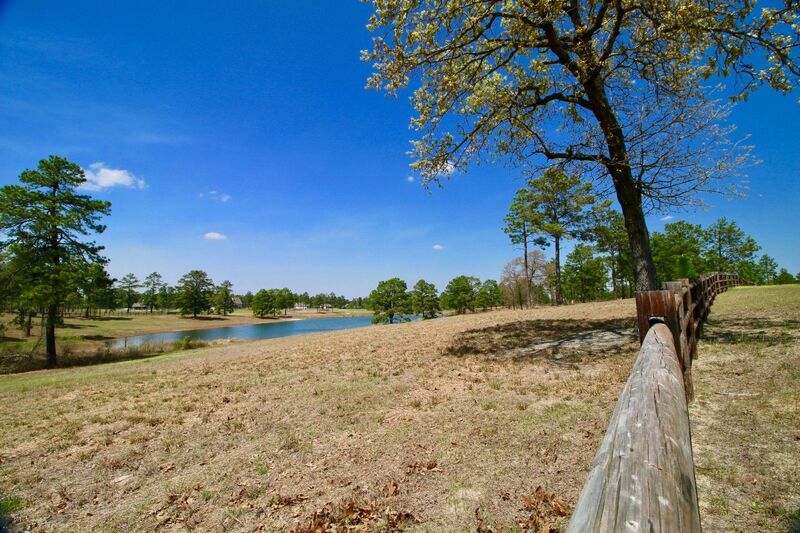 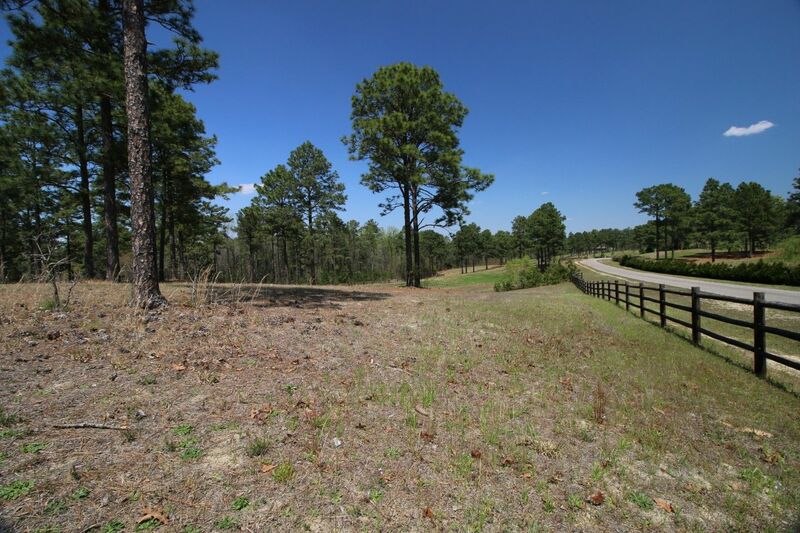 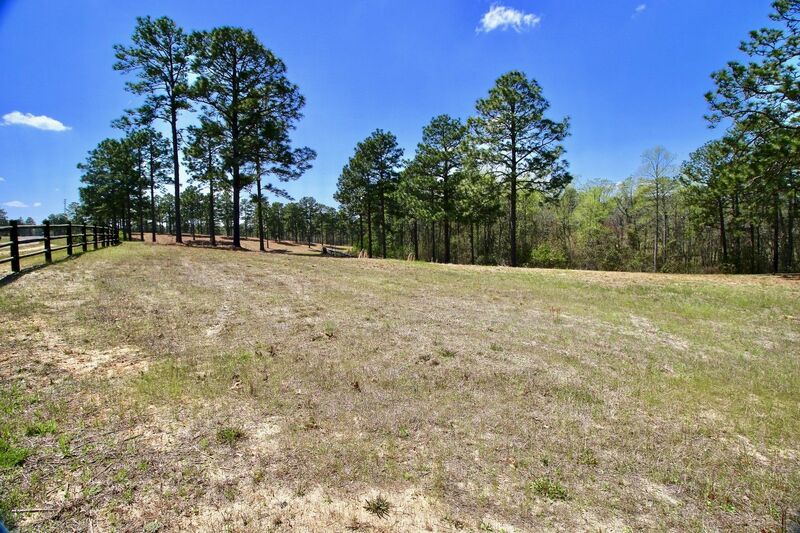 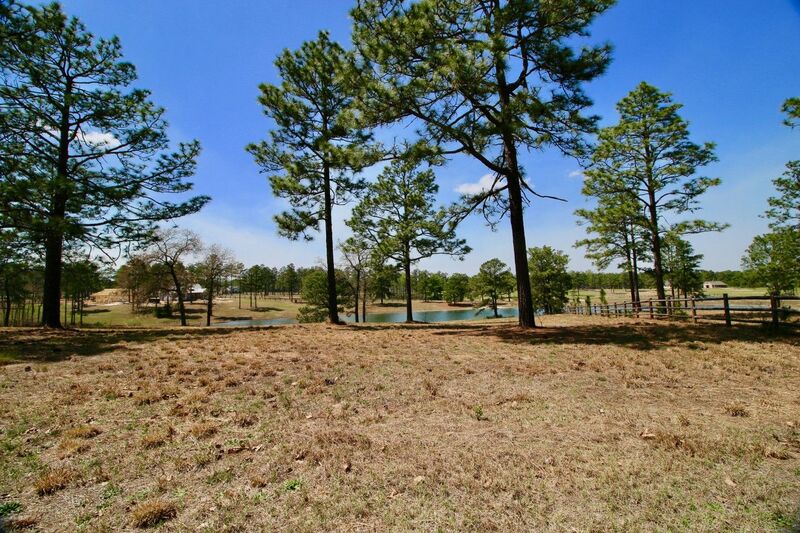 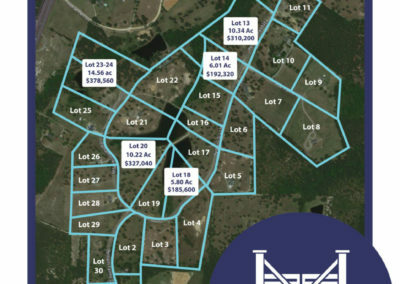 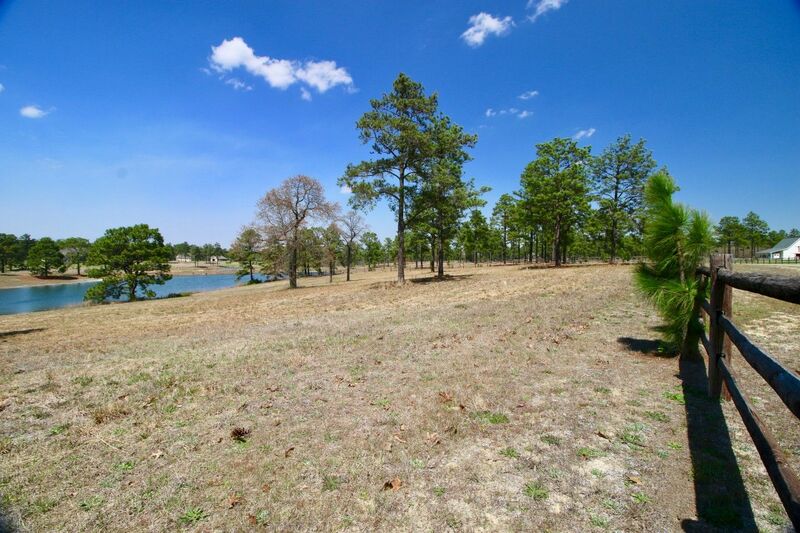 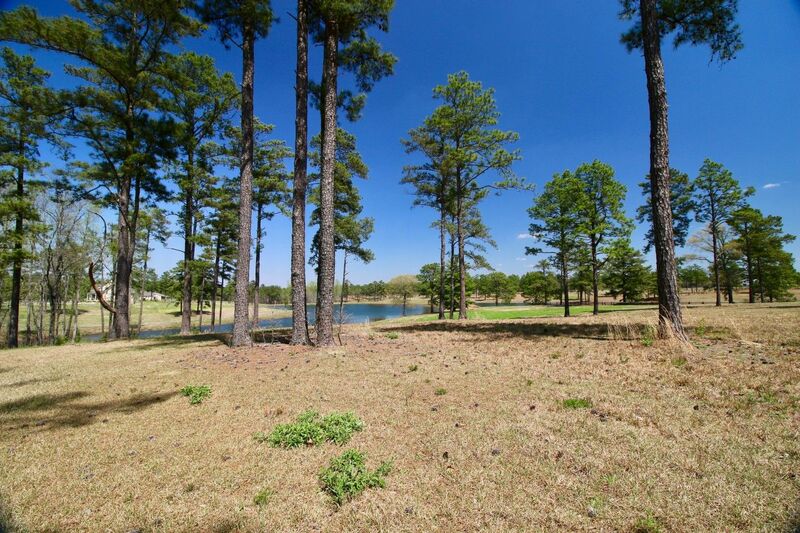 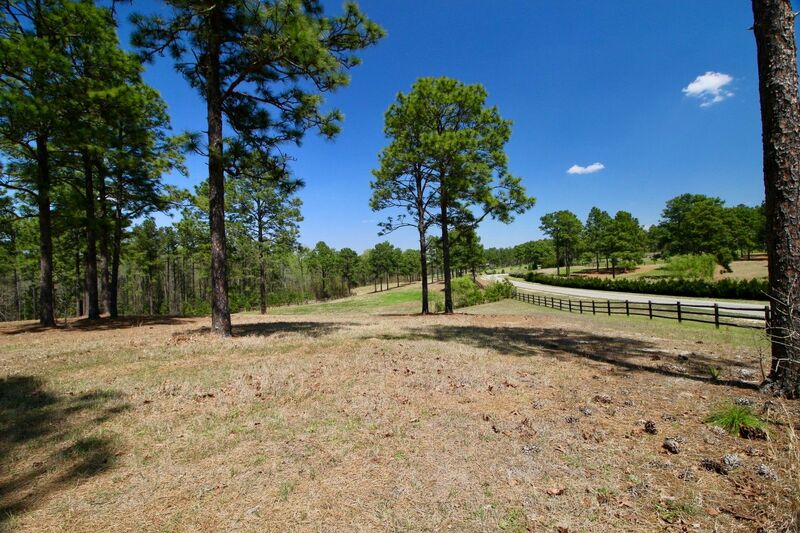 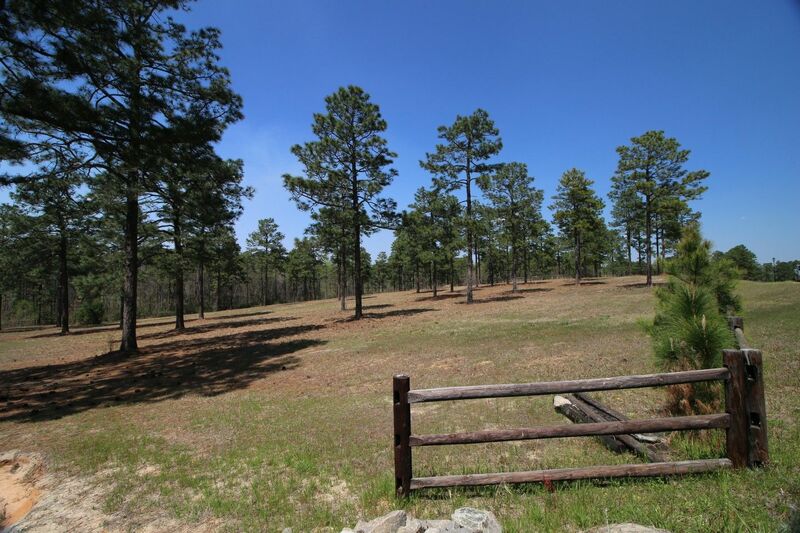 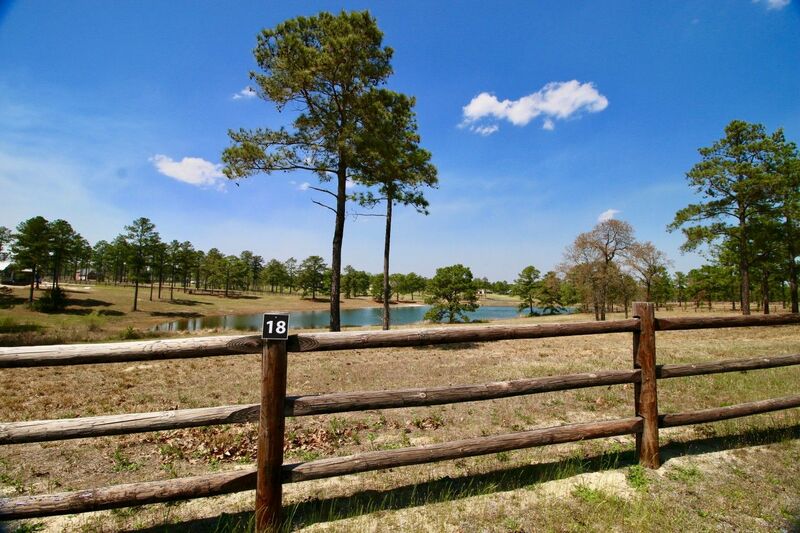 Lot Sizes from only 5 Acres to 10+ Acres. 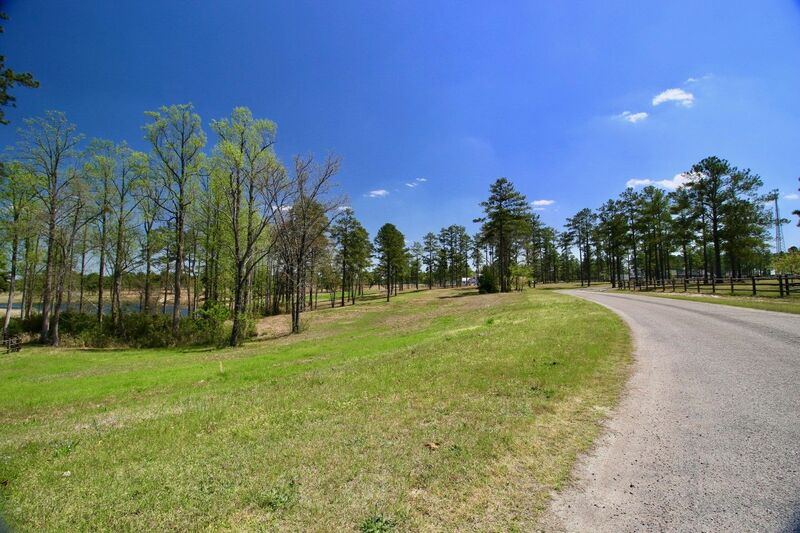 Waterfront Parcels Available – 2 different lakes! 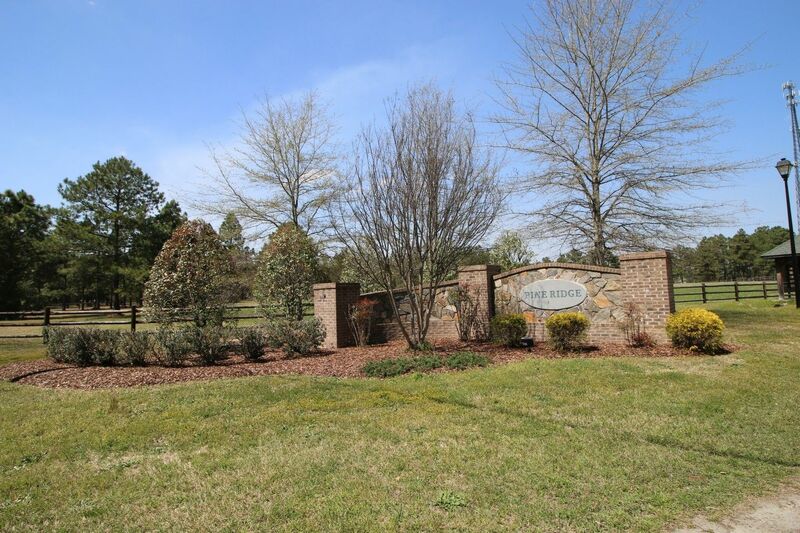 If you would like more information about Pine Ridge Farms, give us a call at 910-724-4455. 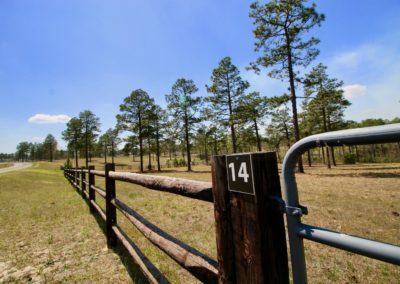 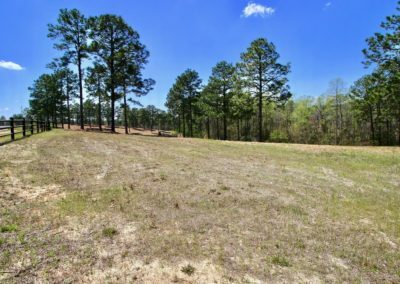 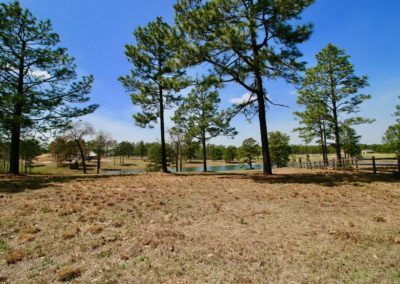 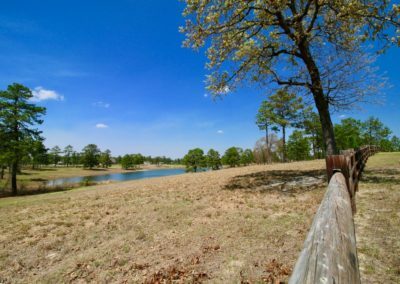 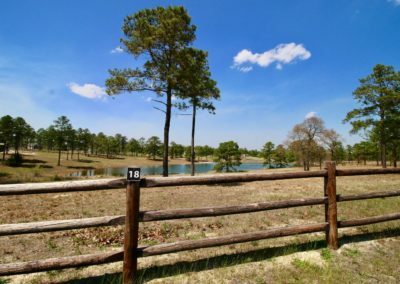 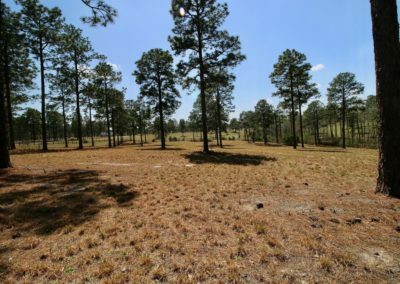 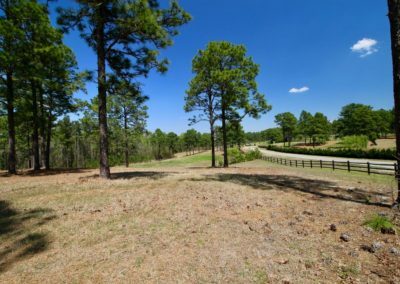 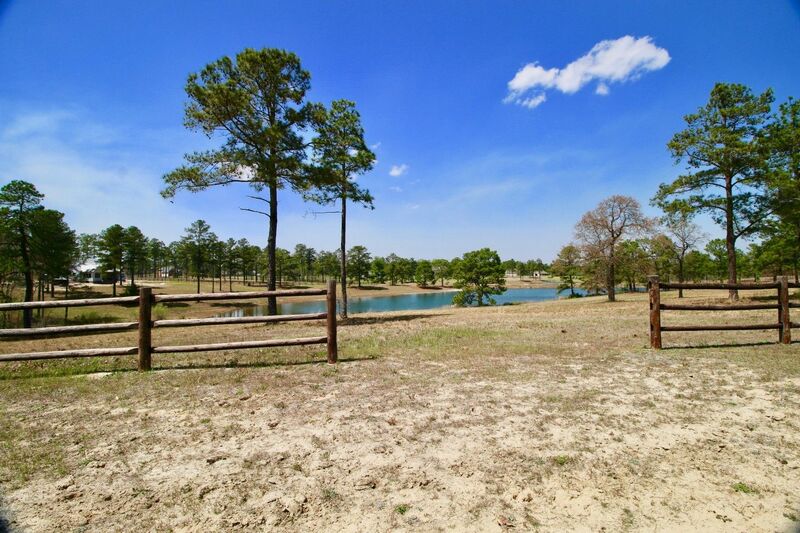 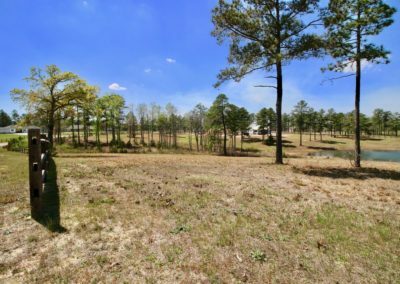 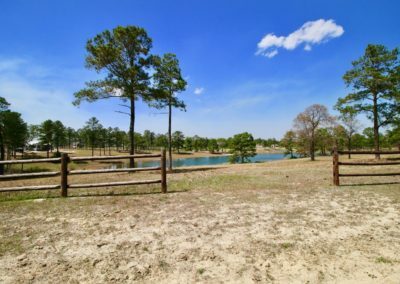 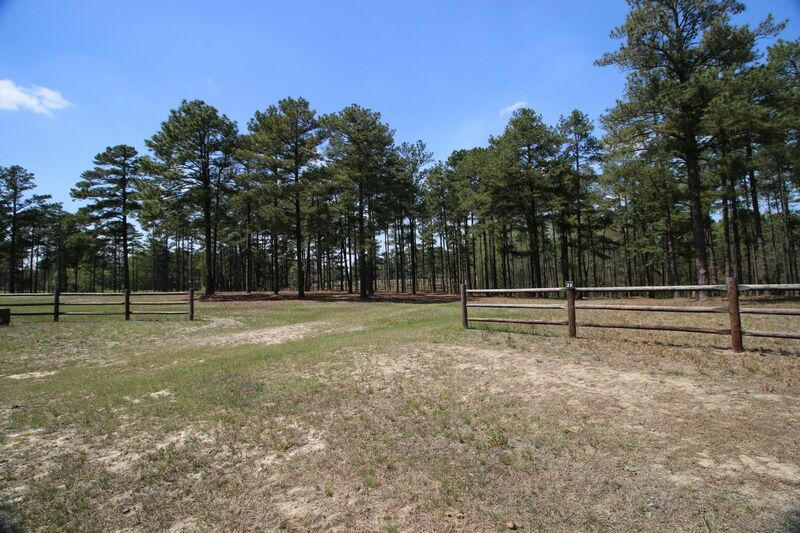 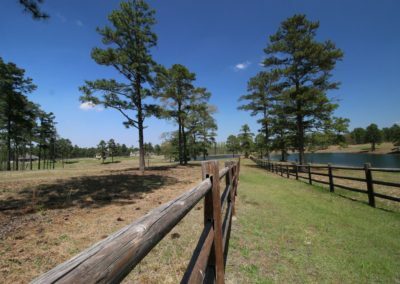 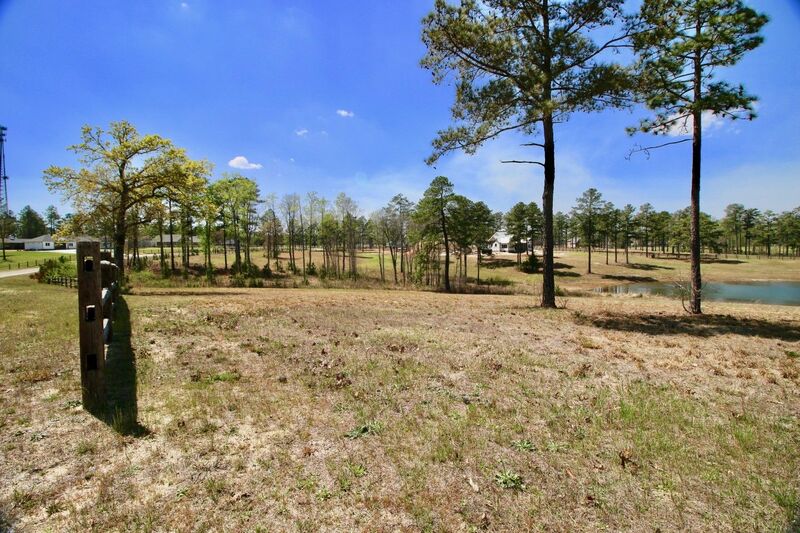 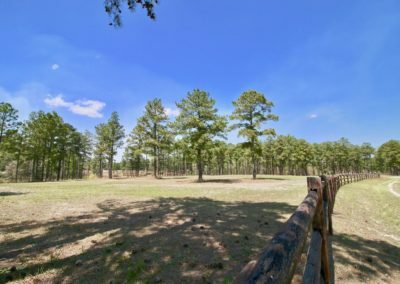 Pine Ridge Farms offers a unique opportunity to buy land at a reasonable cost in the wonderful horse country around Southern Pines. 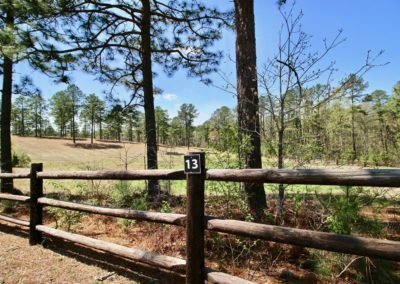 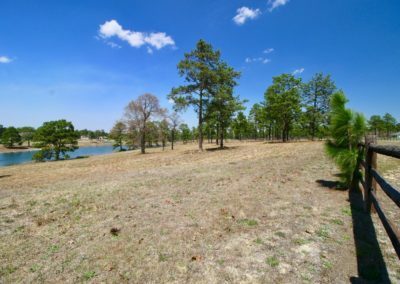 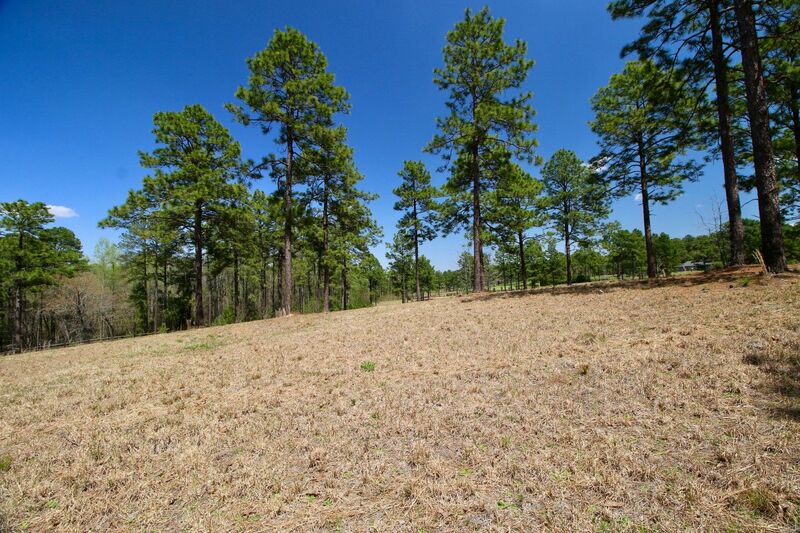 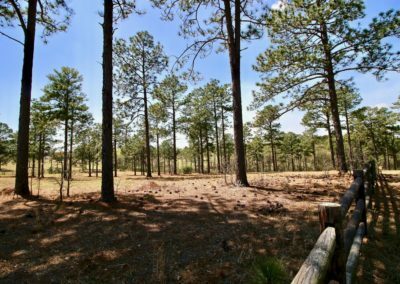 Smaller tracts (5 to 6 acres) are available at Pine Ridge and all of the acreages are being offered at historically low prices. 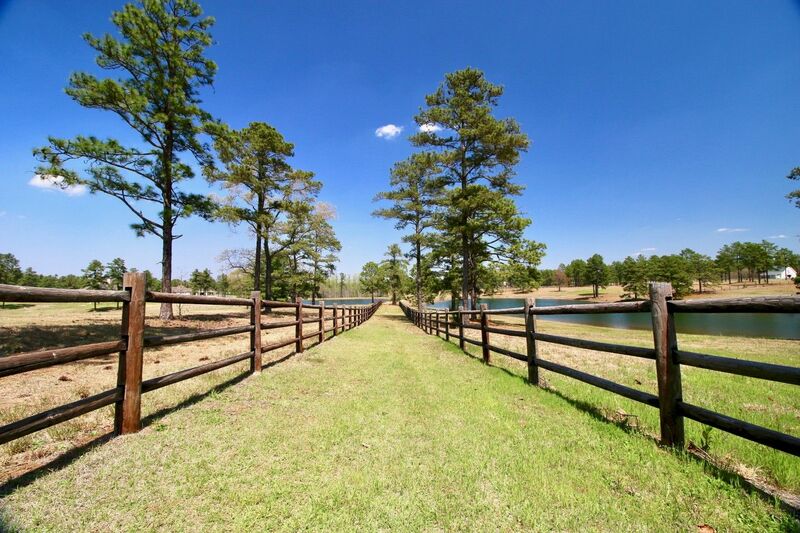 This is the best value is years when it comes to owning land with direct access to the Walthour Moss Foundation. 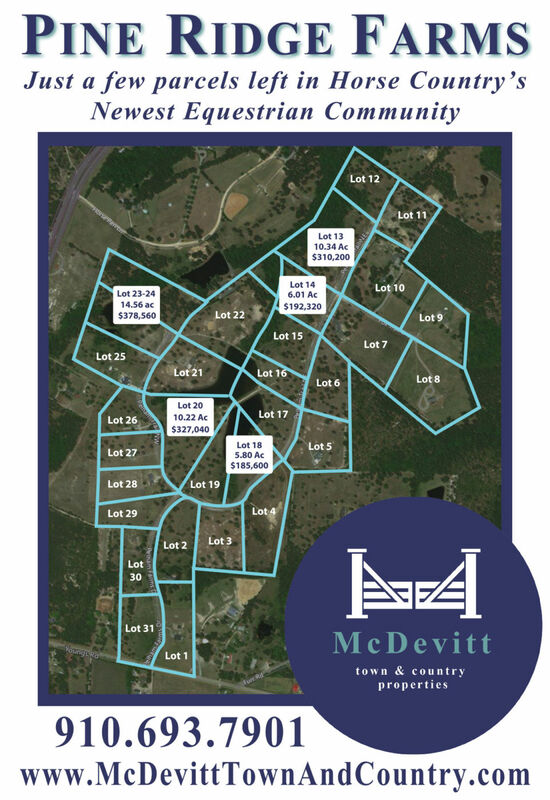 Larger tracts are offered for sale, and buyers can always purchase 2 smaller adjacent tracts – use them together and preserve the freedom to re-sell one tract in the future. 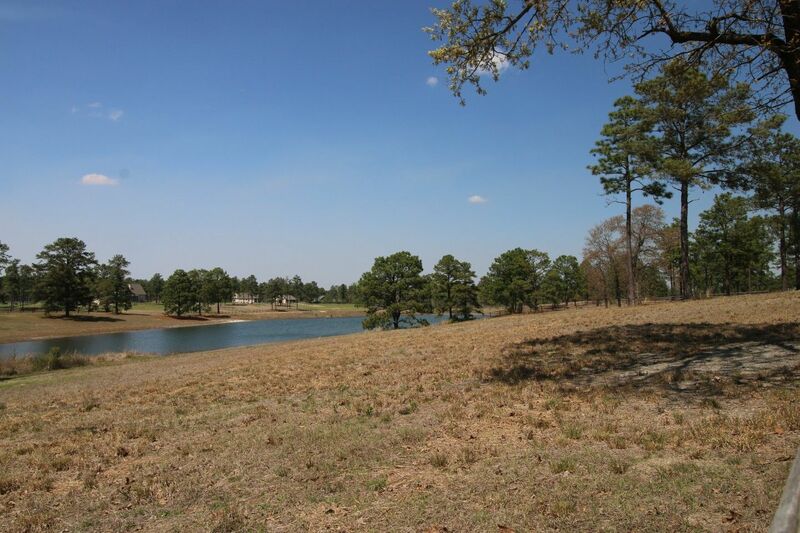 Several of the tracts at Pine Ridge even have frontage on one of the two lakes in the community!! 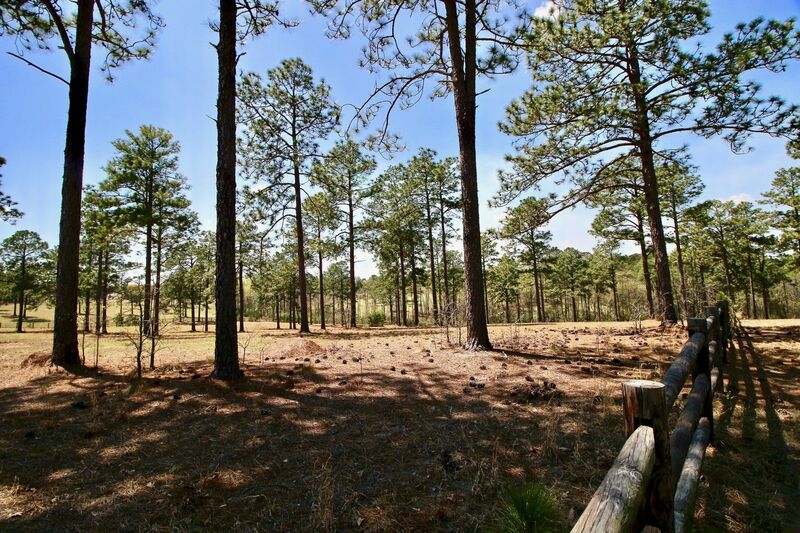 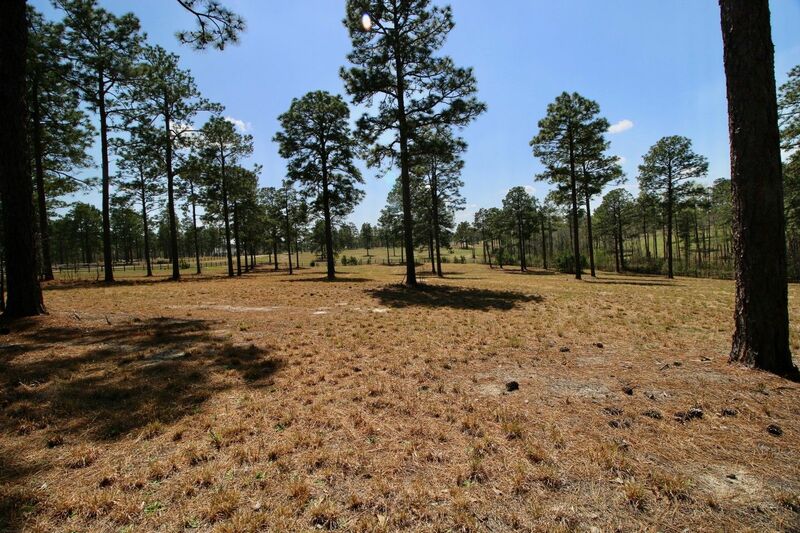 Pine Ridge is protected by a reasonable set of Covenants designed to preserve the value of your property. 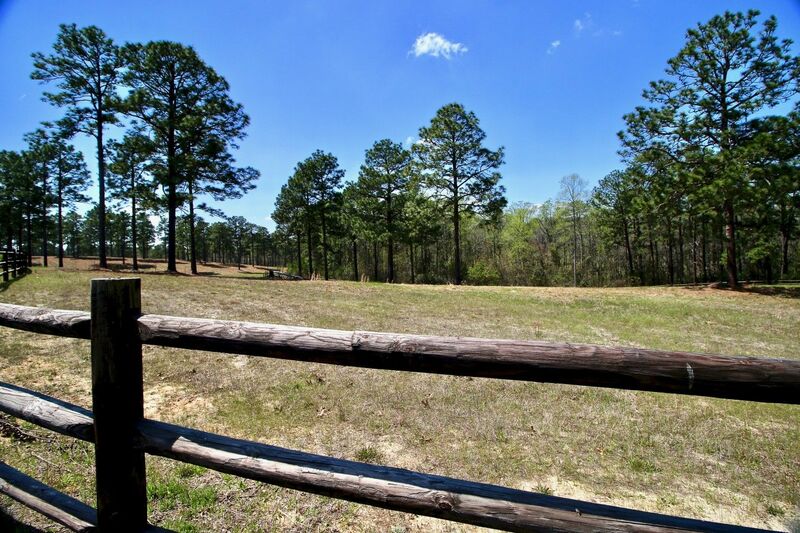 You can VIEW THE COVENANTS HERE. 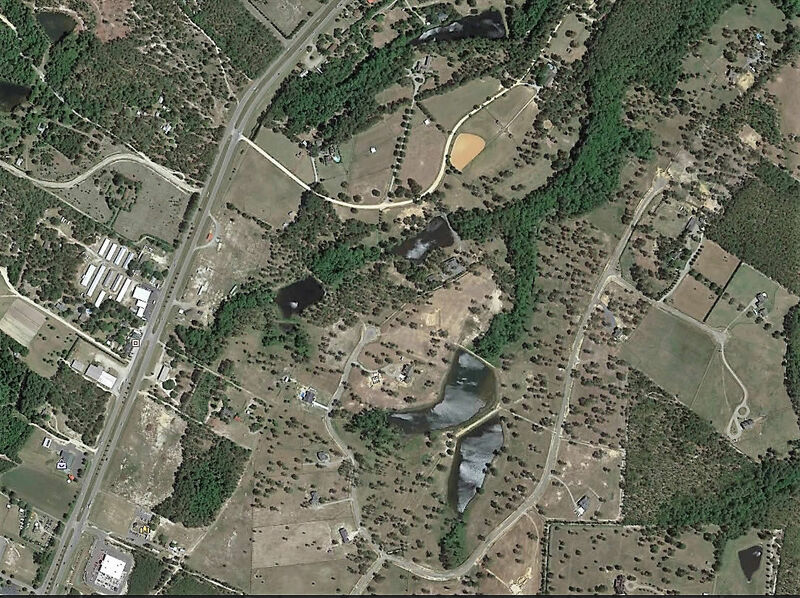 Basically, homes must be site built. 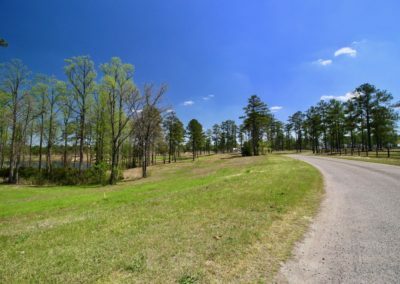 However, the developer recognized that buyers want the flexibility to build smaller, high-quality homes, so the Covenants permit homes as small as 1,600 sq. 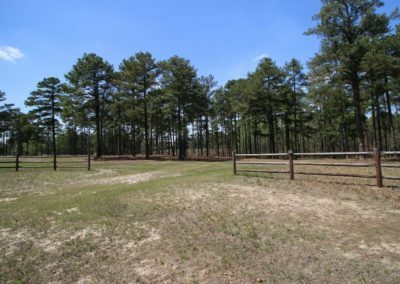 ft. Wood fencing is required – and much of it has already been built. 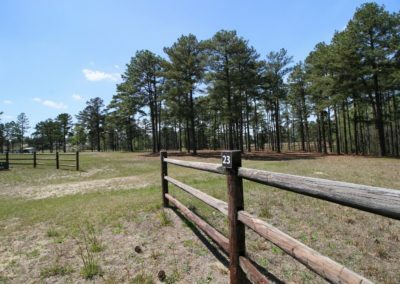 Residents are allowed to board horses or offer lessons, but retail businesses are not permitted inside of the community. 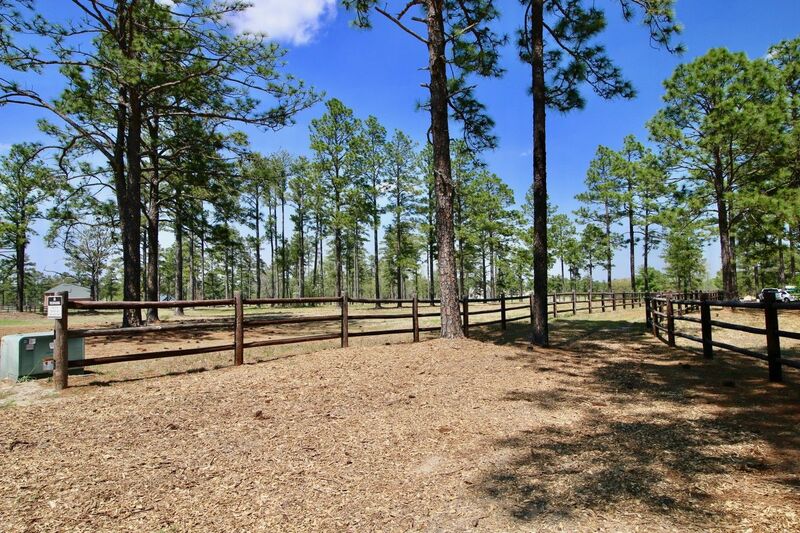 Pine Ridge Farms offers several very valuable features that represent huge savings when you plan your horse farm. 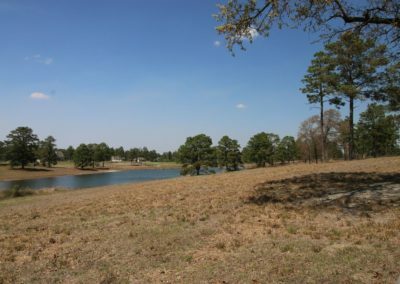 County water is available, eliminating the requirement to drill a well. 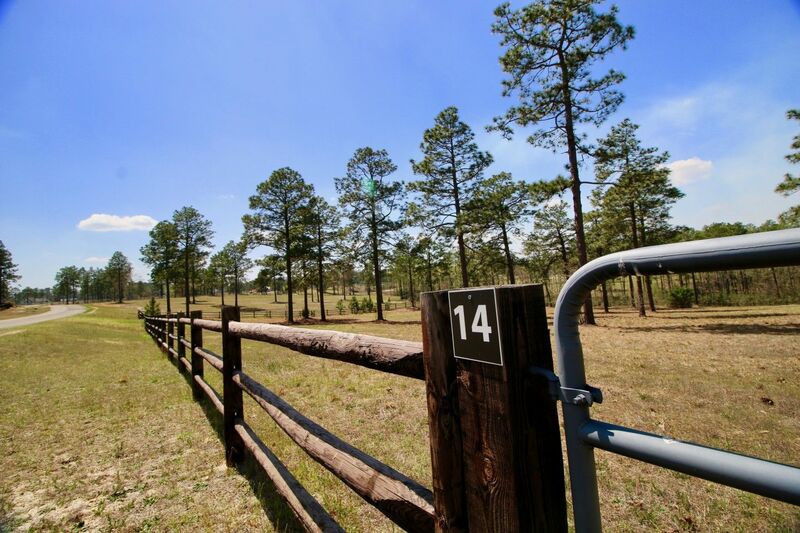 Underground utility lines are run to the edge of each tract, including electricity, phone lines and of course – internet. 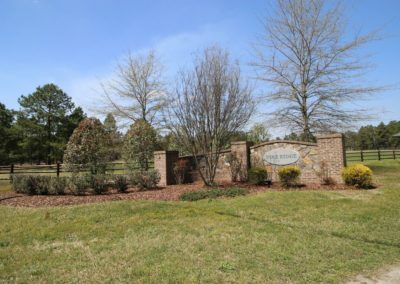 There are connection fees or “tap fees” associated with each of these services that you must pay when you build, of course. 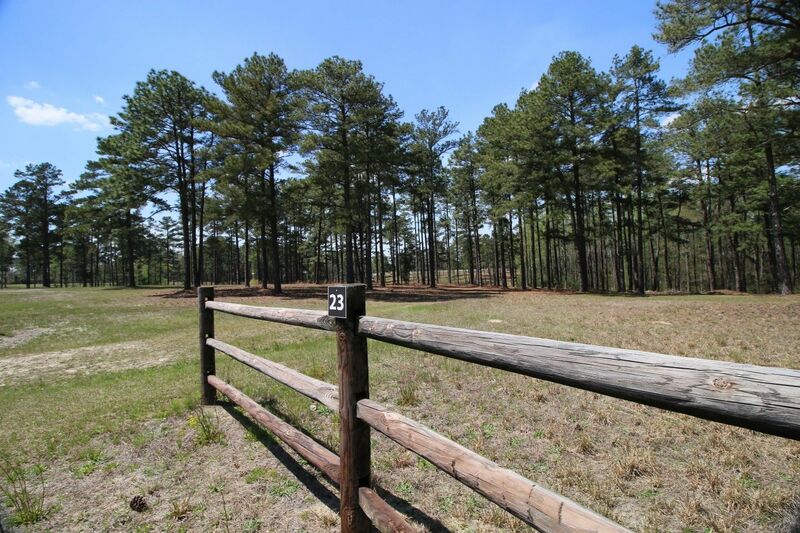 Finally, some of the remaining tracts already have post and rail fencing in place. The community also features low maintenance roads. 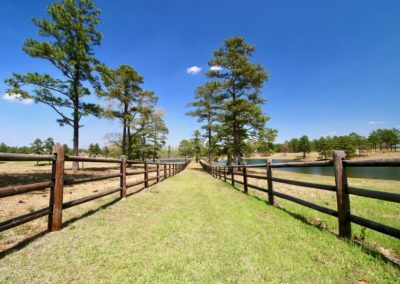 The Owners’ Association fees are set at $500 per year – which is very low for an equestrian community. 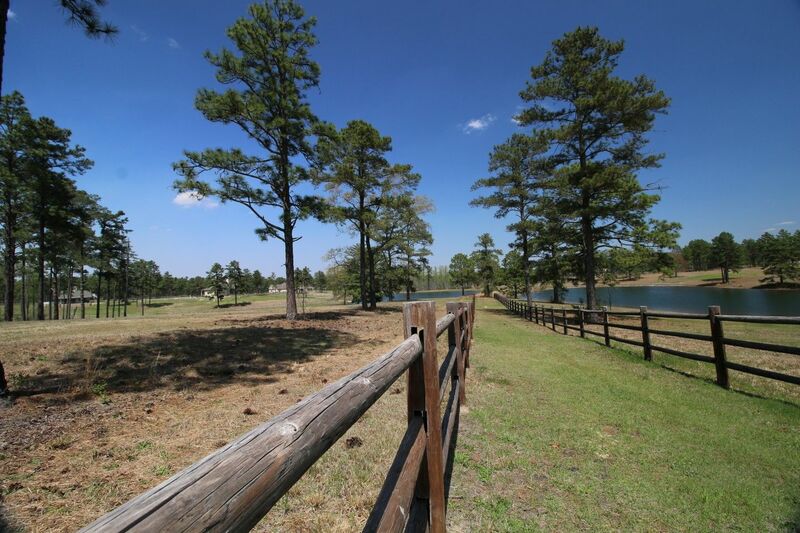 Pine Ridge Farms has a small common area that is open to all property owners. 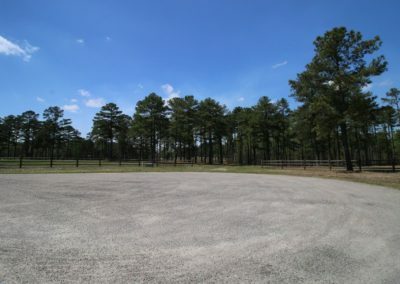 The common area is 2 acres and can be used for schooling or lessons. 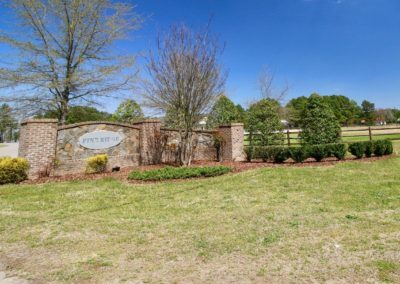 This area is for the owners to mold as they see fit. 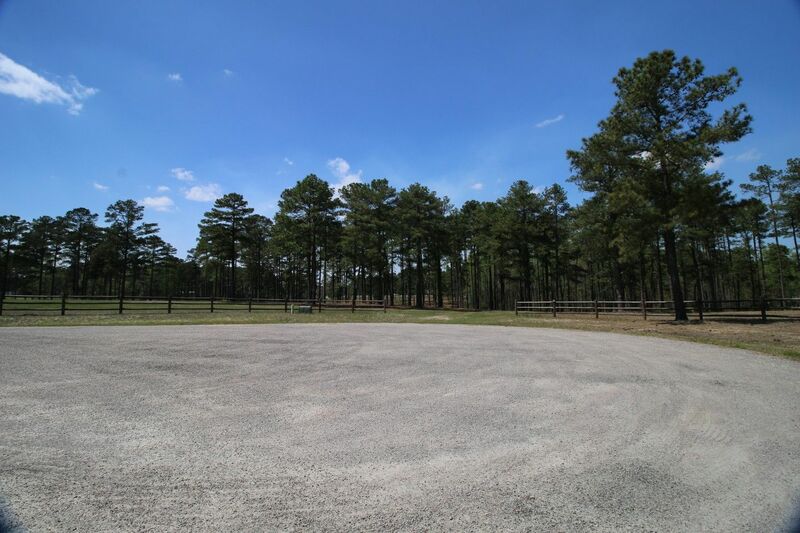 We envision it as a place where you can meet and ride with your friends. 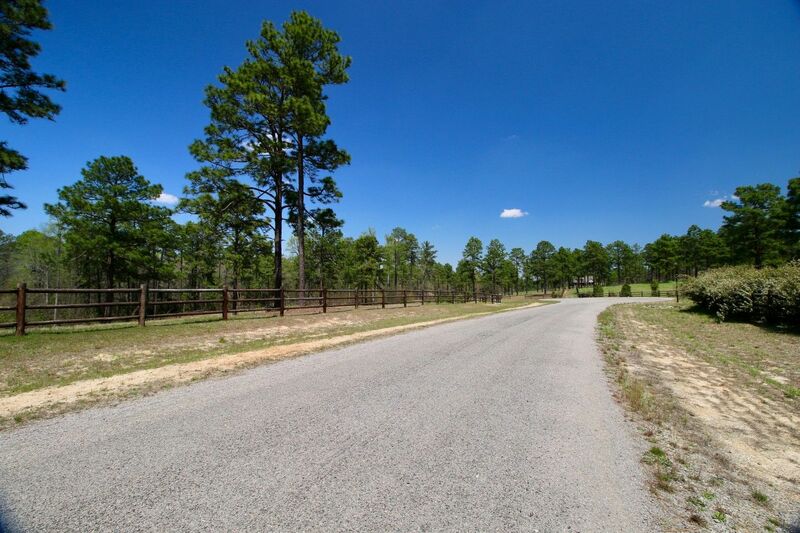 Downtown Southern Pines is just a short 5 or 10 minute drive from Pine Ridge, depending on which route you take. The closest feed store is 5 minutes away at most, and the closest grocery store is about 10 minutes away. 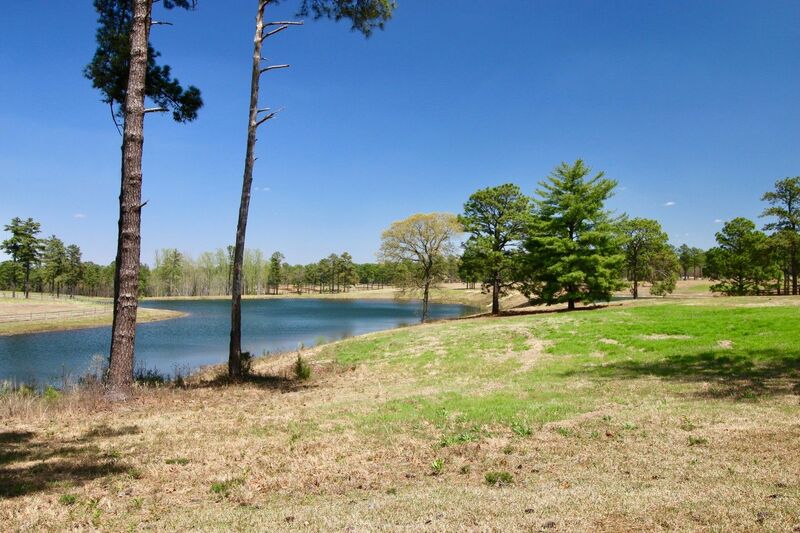 If you have a hankering to play golf, Hyland Golf Course is only about a mile away!! 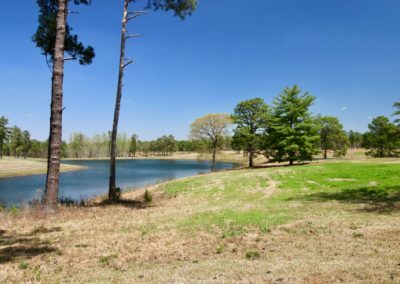 Of course, there are over 40 other golf courses close by, including Pinehurst and the famed No. 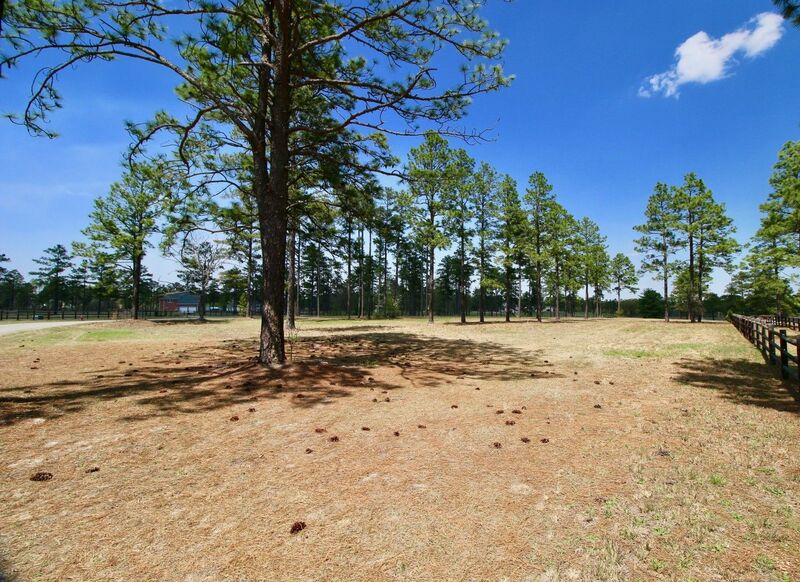 2 course which will play host to both the Men’s and Women’s US Opens in 2014 (Pinehurst is less than 10 miles from Pine Ridge. 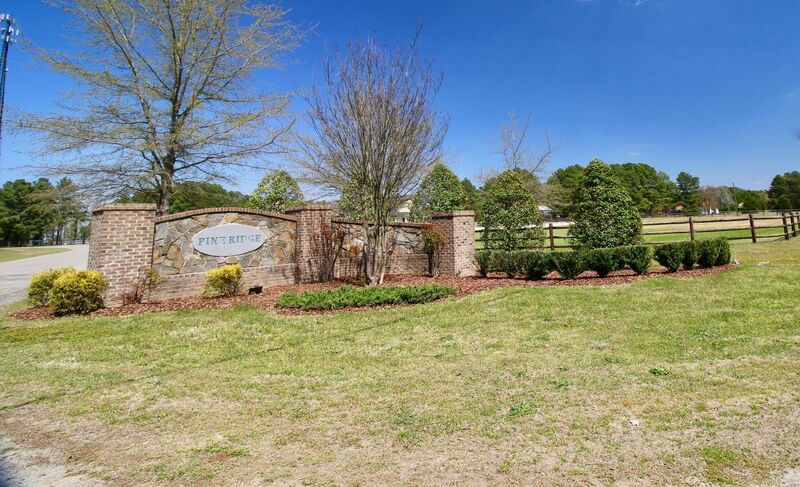 If you would like more information about Pine Ridge, give us a call at 910-724-4455.